When I started at Prospects just over two years ago I was a very different version of myself. I come from a difficult and complex family background. I moved schools pretty much every year, this had a huge impact on my confidence and I struggled with my mental health. After school I started studying media at college, I completed my first year with a distinction. I was excited to go back after summer, but within the first two weeks I couldn’t handle it and dropped out. I was already working part time as a sales assistant so I took on more hours and responsibilities and became a keyholder. But I knew I didn’t want to be there forever. I’ve never liked the idea of moving away from my family and going to university, I knew it wasn’t for me and so I started thinking about apprenticeships. It gave me the opportunity to stay with my family, earn money, and a recognised qualification; I didn’t realise it would provide me much more than that. After applying for several business admin apprenticeships and not hearing back or meeting the right criteria I came across the Public Relations apprenticeship with Prospects, I had no idea what PR was but after researching the industry and company, seeing the work they do to transform people’s lives as well as writing for a living, I couldn’t wait to apply. I have always had a passion for reading and writing, growing up that was my way of escaping the drama surrounding me. I sent in my application but didn’t feel very confident. I was surprised when I was offered an interview with the PRCA who were my training provider. I was successful in the first round of interviews and went on to meet the employer, Prospects, where I was offered the position the same day, I was absolutely thrilled. On my first day I was so worried that I wouldn’t fit into the team or be able to do the job, but everyone in the team was so lovely and welcoming and I picked things up quickly. Within my first year, I had taken on the production of the internal newsletter and was traveling to London, something I had never done before and scared me! My confidence was slowly growing. The South West National Careers Service team then asked me to become an apprenticeship ambassador for them, this entailed me going to schools and colleges and meetings with careers advisers to tell them about my journey, the benefits of apprenticeships, and why they should be promoting them more to their students. This boosted my confidence and I liked the fact that I had the opportunity to potentially inspire others. After nine months, I was asked to travel to London for the first time on my own and represent Prospects at an event. I had to put my “big girl pants on” as it was probably the most daunting thing I had ever done, but I really loved it! It really gave me the confidence boost I needed to start believing in myself and that I am good at my job. It also showed me that my team believed in me and trusted my abilities to represent the company and speak to hundreds of visitors. I completed my apprenticeship early and was taken on by Prospects as a Public Relations Executive. 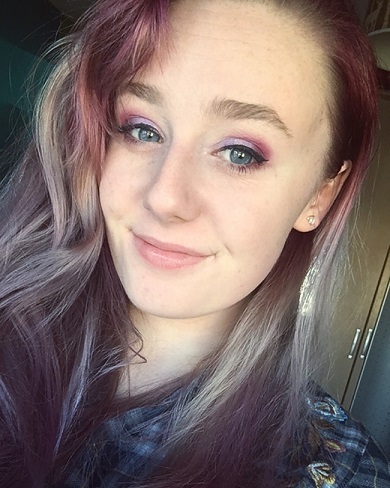 I have achieved a lot in the two years, I recently started my role as Public Relations and Communications Officer at Shaw Trust, I’m now the main creator for internal communications, and recently I supported the awarding body, AIM Awards, with their new PR apprenticeship framework and much more. Apprenticeships are not an easy option as many think, but with dedication, determination and hard work there are so many benefits and skills to be learned that you can carry with you throughout your life. My apprenticeship really helped me get my foot in an industry I originally would never have considered. I have thrived not only in my chosen career but also in myself. I’m proud to have been an apprentice.